During peak bloom of the famous cherry blossom trees at the Tidal Basin in Washington, D.C. on April 3, 2019, I ran my first tests of the new Insta360 EVO in VR180 3D mode, custom-mounted onto a Feiyu WG2 3-axis gimbal stabilizer that was originally designed for GoPro-like action cameras. After rigging the gimbal with an extender for the camera’s 1/4″-20 bottom hole offset, and special clip-on counterweights, I could then mount it onto any boompole/selfie stick and fly around the rig as you see here. 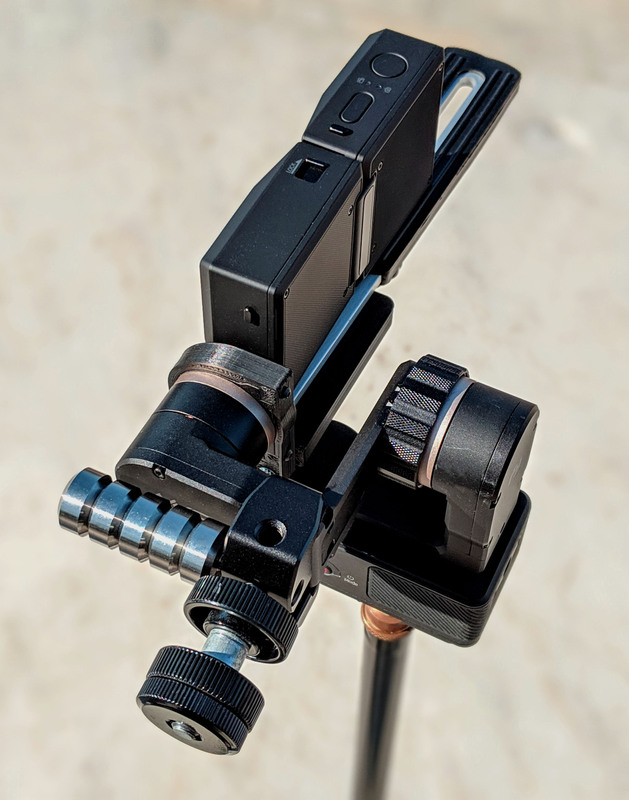 I had originally gotten an adapter custom-manufactured for the WG2 from a French 3D printer, to mount my Sony RX0 instead of a typical action camera, but the same kind of adapter is by now readily and cheaply available in an even better form factor for this purpose. Sometimes in the grove of cherry blossom trees, I experimented with angling the view up into the air, that’s conventionally a no-no risking nausea and disorientation, but it’s interesting to try in this context where all the good stuff is higher than eye-level. This resolution is 5.7k, and of course it is best to watch using a headset/VR goggles, ranging from Google Cardboard-style, to an Oculus Go using the YouTube VR app. On the Insta360 EVO, I shot in non-HDR video mode for preserving the finest detail, while using the LOG color space for dynamic range that is converted here back to REC.709 using the official LUT. 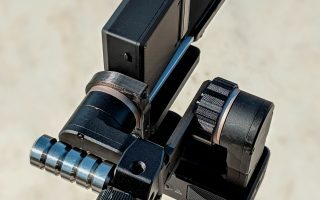 Flowstate electronic stabilization is activated for further smoothing of motion at minimal quality loss, given the latitude provided by the 180-degree field-of-view. Thankfully, by now Adobe Premiere Pro CC 2019 includes support for editing VR180 content, but it was quite difficult to grind through this source footage using Insta360’s “no-stitch” Premiere plug-in, which frequently resulted in a blank Program Monitor even on a heavy-lifting PC, while grinding to a halt. So, I ended up resorting to the old workflow, of using Insta360 Studio 2019 to stitch the footage into the proper H.264 format, importing into Premiere like anything else, and applying the official LUT with my editing cuts. I had to jack up the color saturation a little, crush the shadows down, and protect the highlights some more: Insta360’s implementation of LOG here is just as mediocre as the nearly-identical Insta360 One X that I was previously using, and probably isn’t a faithful deployment of the usual complex calculations for LOG color space — it merely seems to lift shadows and reduce highlights on a straight line (e.g., contrast reduction). They need to work on this. 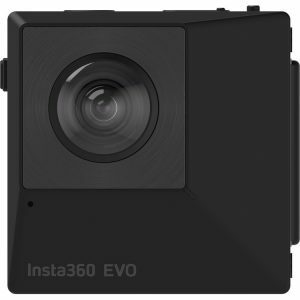 But besides a laughably overpriced product from Z CAM and its even more expensive successor announced at NAB 2019, unfortunately the EVO is the only game in town for 3D VR180 capture: the Vuze XR, QooCam and Lenovo Mirage offer worse specs and performance, while the long-promised Yi Horizon has turned out to be vaporware. And as widely discussed, 3D VR180 is the better compromise during this sluggish time of VR tech: 3D VR360 is a non-starter in almost every use case, because the resolution gets essentially halved, and headsets can’t handle the best of it. And, do people really turn their heads all the way around anyway? Hardly ever. The Insta360 EVO is famously convertible, between 3D VR180 and 2D VR360 modes, but I think I’ll be sticking with the former in most cases for the foreseeable future.